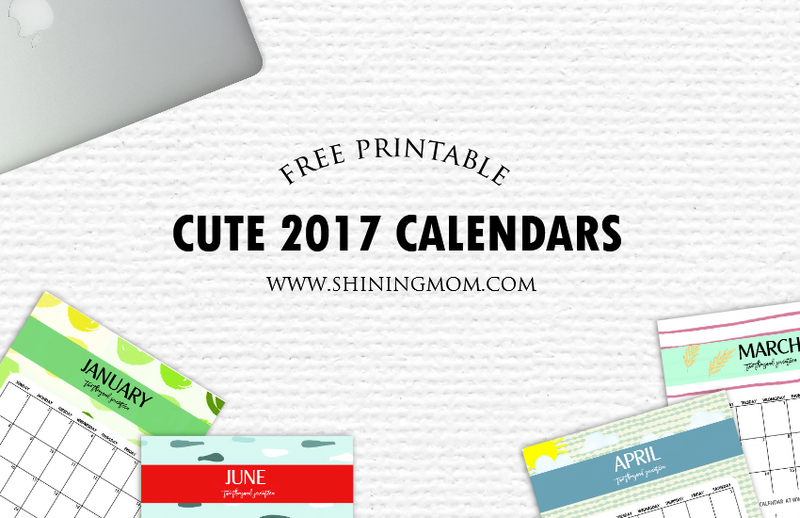 Fun and Cute 2017 Calendar Printable! Want a little more zest in your daily planning? Add some fun to your every day activities with this cute 2017 calendar printable set! It’s absolutely free to download and use! This I must say: My cutest and most colorful calendar dozen ever! Let’s look ahead, make plans, have fun, set goals and do great in 2017! Oh, hello, friends! Thank you for stopping by, please allow me to treat you in your stay. Sit down, and make yourself comfortable as I show you your freebies today. Fun and cheery, these cute calendars for the year 2017 will definitely inspire you to plan the year ahead! Snag a copy of the whole set! But before I unveil the exciting designs, I am happy to share that my calendars have always been a big hit. My site counter says that you keep coming back to get them and I sincerely thank you for that! Well, my gratitude comes with a gift! Today, I am once again releasing another set that I hope all of you will again enjoy: The 2017 monthly calendars from January through December! Consider this as my gift this Thanksgiving Day! I hope you’re having a blast! These cute monthly calendars come in unique designs monthly. 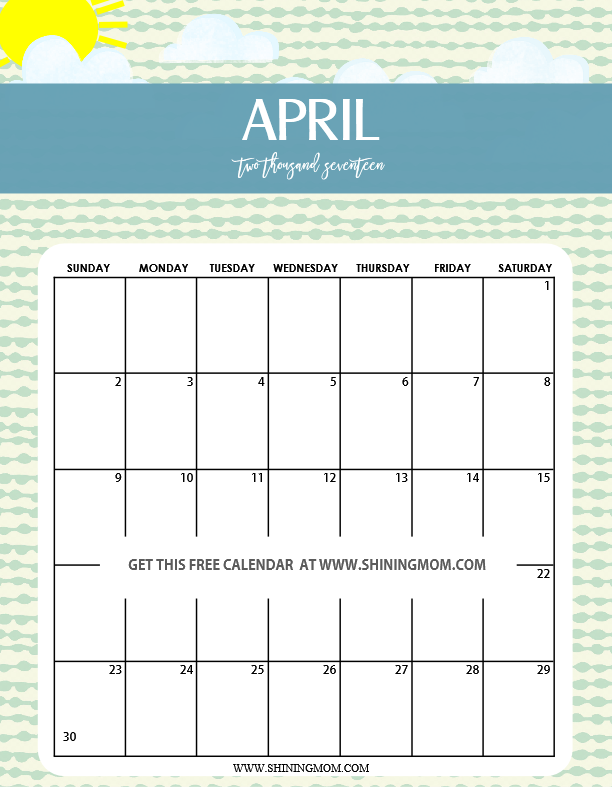 I know it would be fun to have a fresh calendar design each month, that’s why! Thanks to DesignCut for their art-box of tools and inspiration, designing has never been this fun and easy! I am so excited to unveil to you these cute monthly calendars for 2017! 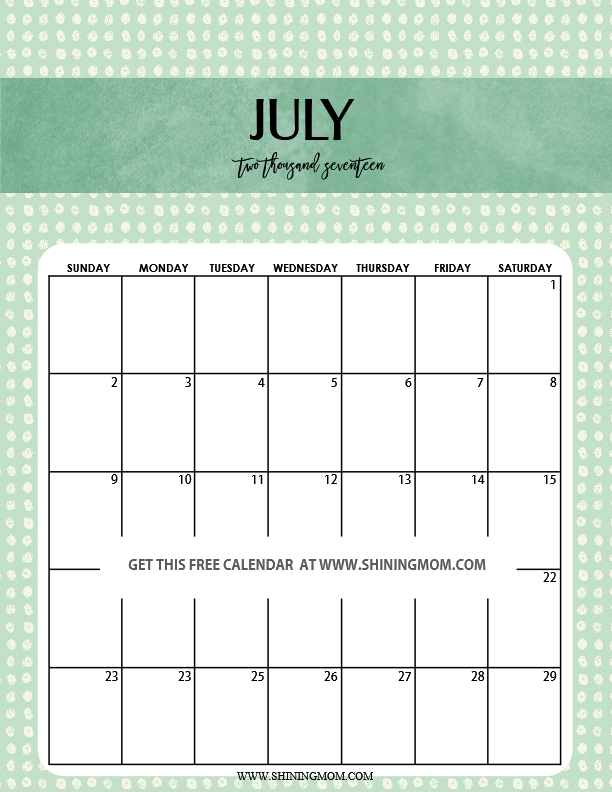 Use them for your every day calendaring, blogging, meal planning and more! Here they are. Enjoy! 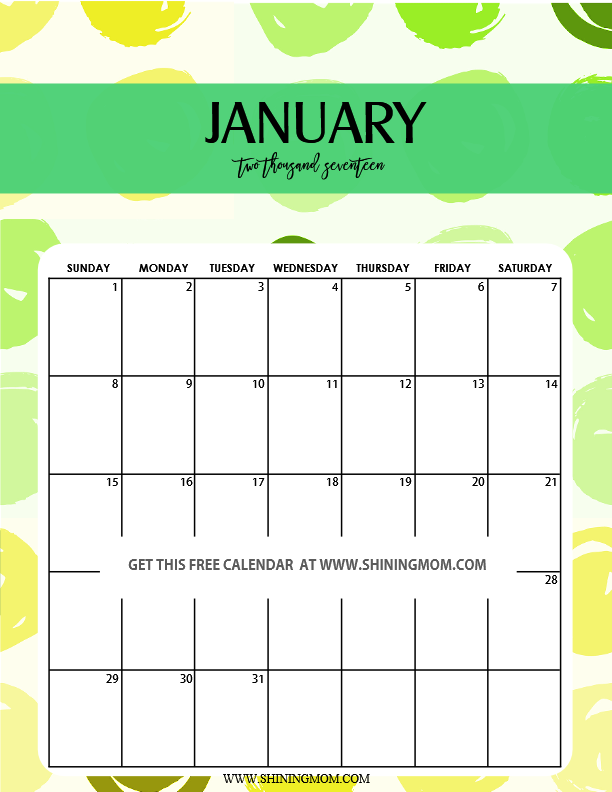 The January 2017 printable calendar comes in playful citrus background. It’s definitely a refreshing calendar to use to start the year. It’s fun, unique, clean and definitely cute! 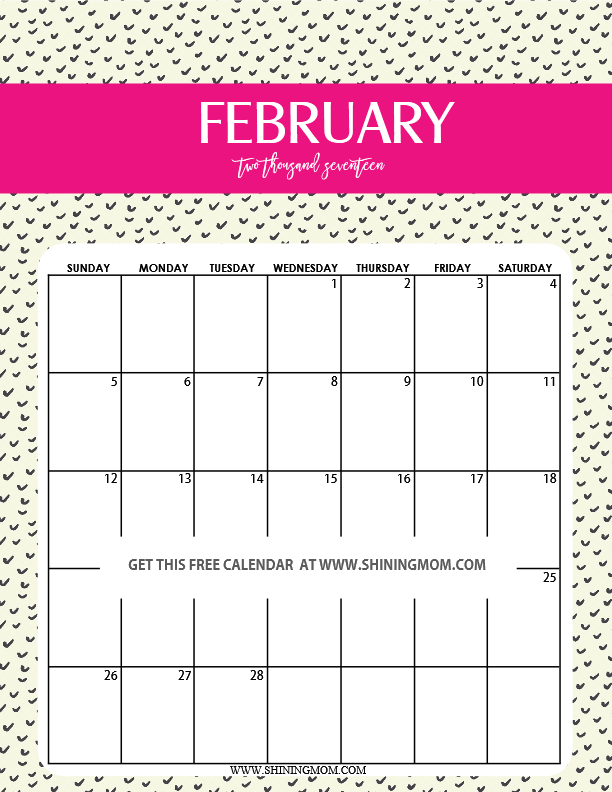 The second calendar in this set, your February 2017 printable calendar , has a modern look in theme with the love month. It comes in heart-pattern background with a pretty touch of pink. This next calendar is definitely one of my favorite designs from this set. It’s simple yet striking. It comes in stripey background with a sweet mix of pink and blue. 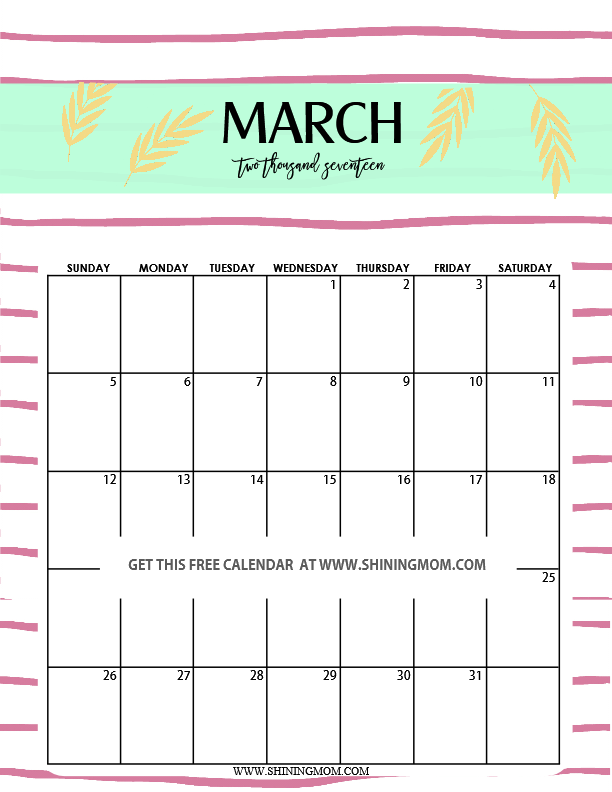 This will be a fun calendar to use to plan your March 2017! Hello, sunny April! I also love what I came up with for the month of April 2017. It looks bright and promising! By this time of the year, you should be starting to nail your goals already! Have fun achieving! 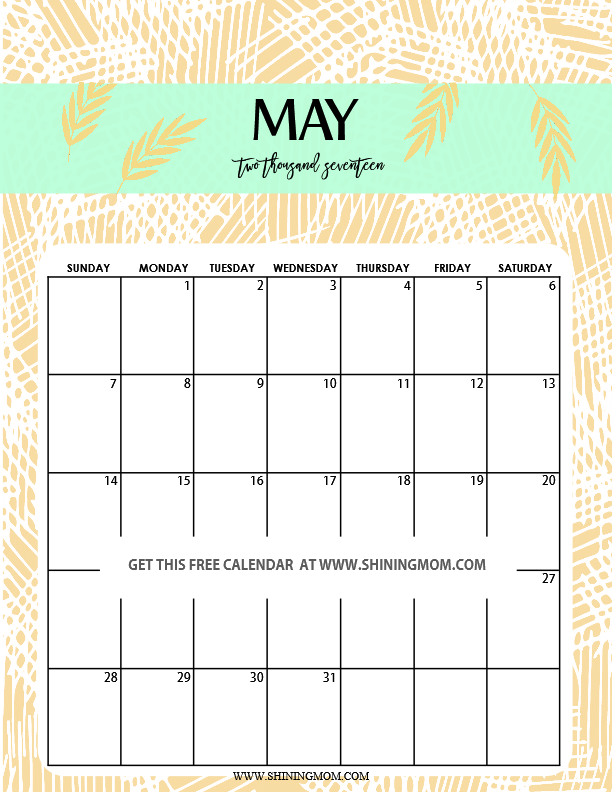 I was actually thinking of “bountiful harvest” as my inspiration while creating this cute May 2017 calendar printable. This pretty much pictures the “golden land” just when rice is about to be harvested in farms. Time to schedule a vacation up, up and away! By June, I wish that you’ll be having a great travel with your family and friends! 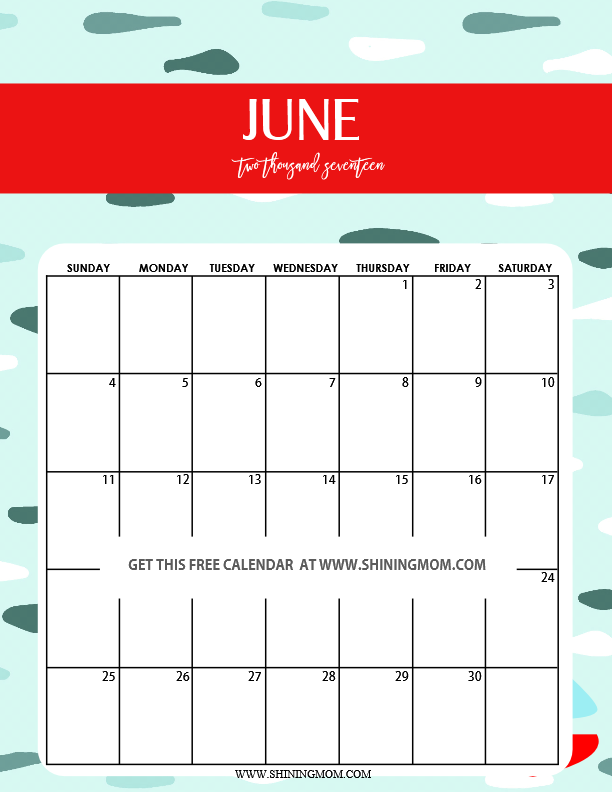 Take this cute June 2017 calendar as your inspiration! Before I show you the calendar designs for the remaining half of the year, please know that your copies for the first set can be found here. Grab your copy first before we move to the next months! Now let’s get going with your cute 2017 calendar printable tour. The next one is your printable calendar for July 2017. It’s simple but definitely cute! Here’s another favorite calendar design of mine! 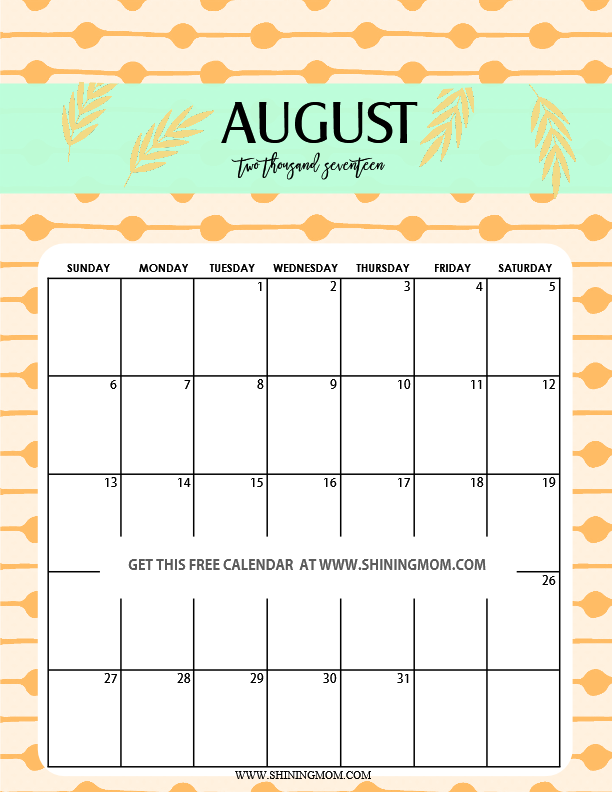 Your August 2017 calendar comes bright and cheery! What are you planning to do by this month of the year? Maybe it’s time to get back to the goals you planned to achieve for the year so you can move forward to achieve them. Oh, hello there, September! Here’s another cute calendar design to love from this set! Here’s your October 2017 printable calendar. How do you like it? It’s the season of Thanksgiving! 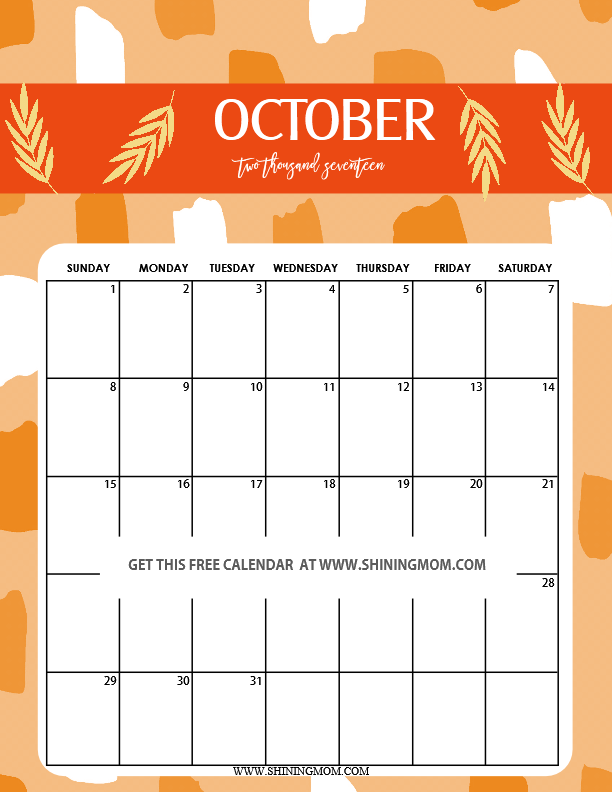 Here’s your free printable cute November 2017 calendar. It’s in party mood! Great to use to plan the Thanksgiving celebration you’ll be hosting! And finally, here’s your Christmas themed calendar for December 2017. 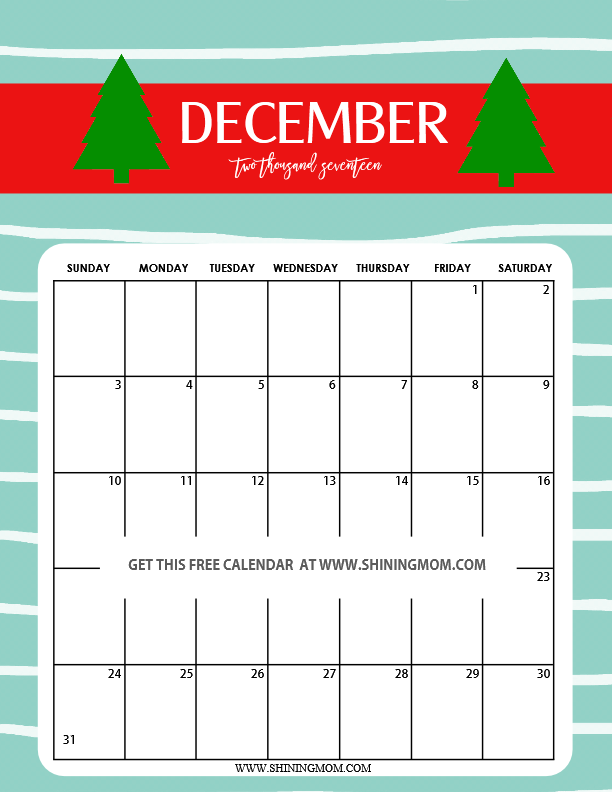 May you be able to use this cute calendar to plan and organize your activities for the holidays! That’s it! Twelve uniquely designed calendars for all the months of the year 2017. How do you like them? I hope you can use the calendars to plan the year ahead! Be sure to snag the second set of calendars here, which covers the months of June till December. And oh, by the way, these cute free printable 2017 calendars are designed to be printed in standard, letter-size paper! Before I end this post, I would also like to invite to stay a bit longer on the blog. 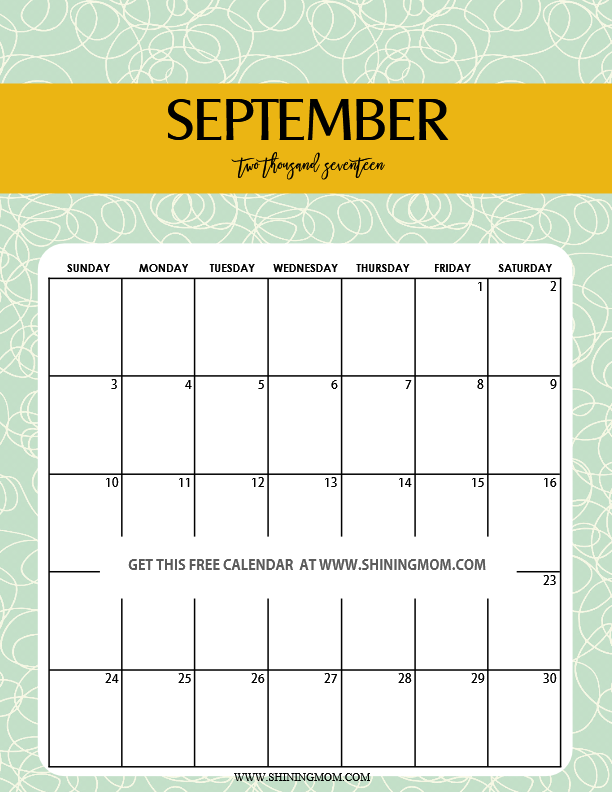 I have previously shared another calendar set and a gorgeous planner which you can also enjoy for free! They’re being pinned thousands and thousands of times already as of this writing, so thank you! I hope you can again help me spread this cute 2017 calendar free printable again by pinning away the image below! Time to spread love, dear friends! « Modern Christmas Wall Art Free Printables!